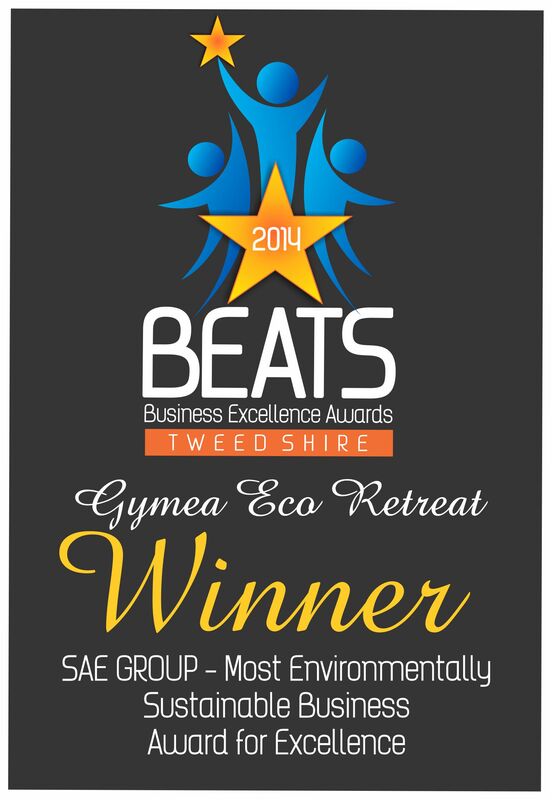 Gymea Eco Retreat & Spa are honoured to have recently received further recognition and reward being awarded 2014 Most Environmentally Sustainable Business Award in the recent Business Excellence Awards Tweed Shire (BEATS) 2014 in the category of SAE Group – Most Environmentally Sustainable Business Award for Excellence. “It’s interesting what a little bit of success can do, last year we won a similar business sustainability award, and these winning results are certainly encouraging us on to do better and to be better, and perhaps to even see if we can have a crack at the State or even National finals. Being the best you can be is an ongoing process, and as every small business owner knows, it’s all too easy to lose perspective and get caught up in the day to day rather than thinking strategically. 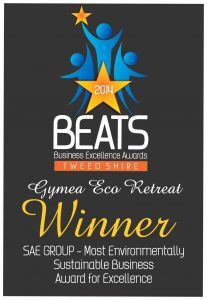 The BEATS process of lining up our ducks to enter the 2014 Most Environmentally Sustainable Business Award for Excellence has really allowed us to do a reality check and motivate us to do and be the very best that we can be.